Click on the link for the full report! Exciting new from the 2017 Plowman Grand Prize winner, Vera String Quartet! 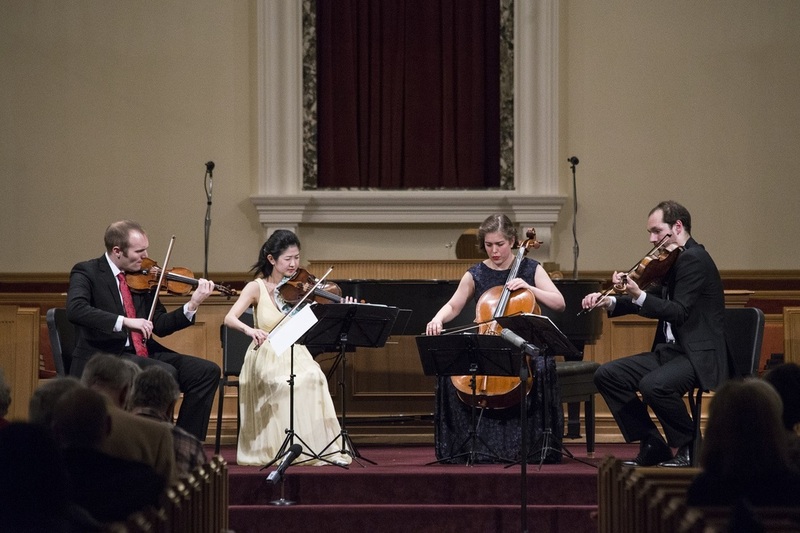 "We are thrilled to begin as the Quartet in Residence at the Curtis Institute of Music this fall! 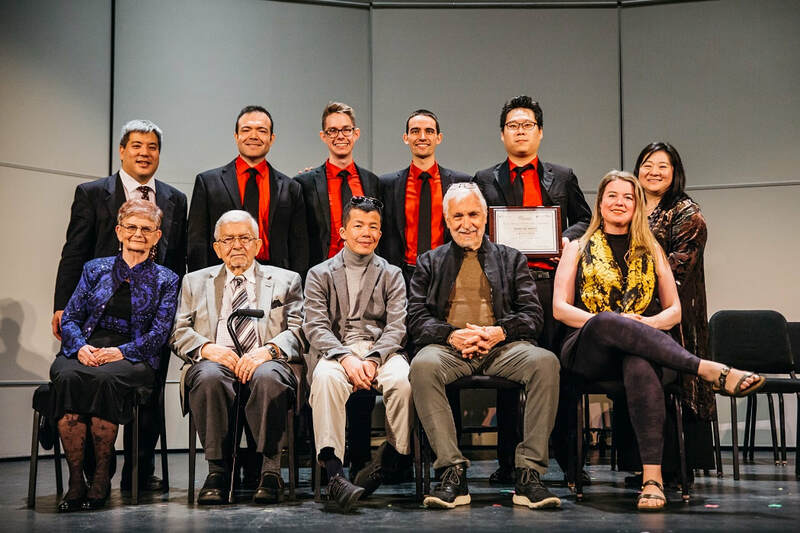 Over the next two years, we will be working closely with the Curtis faculty, and we will be an active participant in the vibrant performance life at Curtis, including Curtis on Tour. We are also thrilled to be joining Astral Artists, after winning its 2018 National Auditions. This season and beyond, we are excited to be performing programs that feature some of our favorite traditional quartet repertoire, paired with music from our roots – brilliant yet rarely performed works from Spain, Cuba, and the USA. Please visit our website for more information, where we invite you to watch and listen to recent performances. The judges have chosen their Semi-Finalist ensembles! Everyone will be contacted in the next 24 hours via e-mail. After the confirmation of your participation, the Semi-Finalist ensembles will be revealed after the weekend. Thank you very much for your participation! We thoroughly enjoyed listening and watching your performances. We cannot wait to hear your live concert in April! CONGRATULATIONS to Jasper String Quartet! 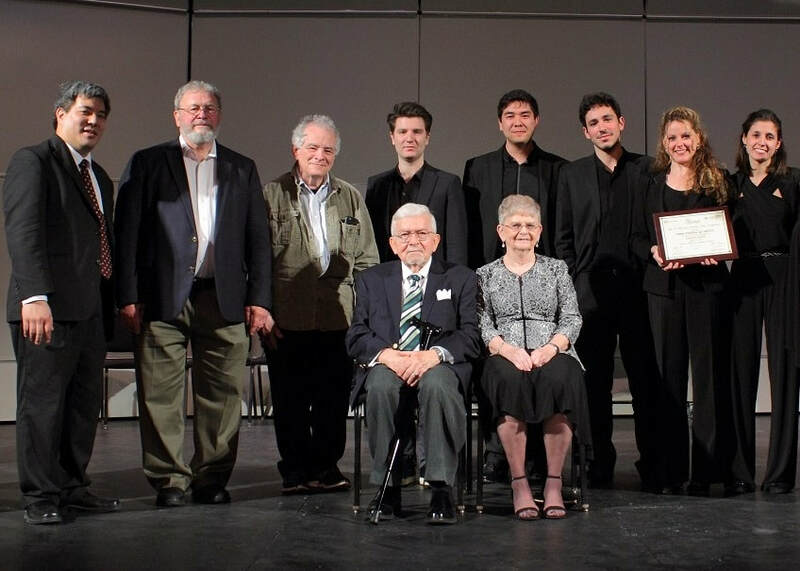 This just in: "Very excited to announce that QuinTexas won the Wind Prize in the 2015 Coleman Chamber Ensemble Competition!" 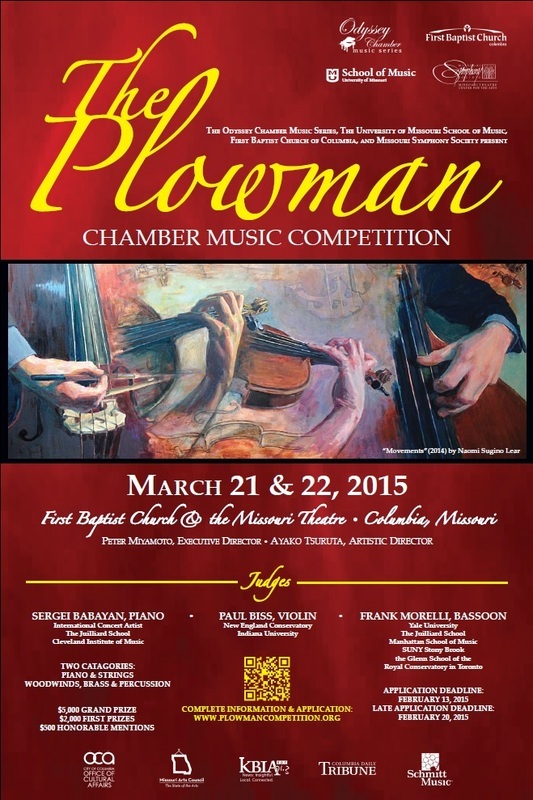 The 7th Plowman Competition WINNERS! WHO will win the Grand Prize this year?! Congratulations to Semi-Finalists #5 String Quartet, #8 QuinTexas, #11 String Quartet, #14 Brass Quintet and #15 Piano Sextet (Piano & Woodwind Quintet)! Please join us in congratulating them in the Finals this afternoon at 1:30pm, Missouri Theatre in Columbia, Missouri. Tickets are available for purchase $25 / $10 Student, which includes reception immediately after the performances, as the jury deliberates. This phenomenal showdown comes with equally fantastic, diverse program this year. Hope to see you soon! After the Reception, Award Ceremony will Follow. 2015 Grand Prize Winner in 1 MORE WEEK! We have been enjoying listening to the Preliminary DVD auditions! The result of the anonymous ensembles will be posted on our web site within the first week of March, after all the contestants have nee contacted. *NEW* You can now purchase the tickets to the Finals & Award Ceremony on March 22 via Ticketmaster! You are also welcome to purchase the tickets directly at the Missouri Theatre, now on sale at the box office. TWO MORE DAYS remain before the final deadline! Just think of what you can accomplish in 48 hours: It could be a difference of a Grand Prize and more importantly, an amazing, PRICELESS experience.